I first visited Maxwell Wines during my McLaren Vale winery adventures in the mid 80’s and this visit brings back fond memories. In those days the parents of the current owner ran the winery and cellar door. Dad was serving me and we got to the mead and in particular the spiced mead. As you will note below the spiced mead should be consumed warm and he was heating up the mead. Then Mum came in and started abusing the old man, told him he was a “silly old coot” and that he had done it all wrong (as the mead had started to boil). 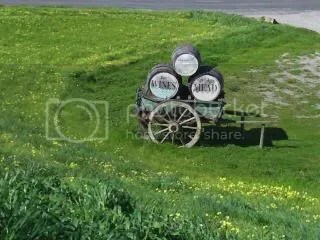 This was in the days that their facility was on Kangarilla Road where the Oxenberry Farm cellar door and Tim Geddes winery is today. This McLaren Vale winery has been making class wines particularly their range of red wines (which I will review next week) and is also known for making excellent mead (fermented honey). The cellar door facility (location shown on my cellar door map) is has a warming interior including an open fire place. The glass panels next to the tasting bar show over the winery and overlooks the old Shiraz vines next to the winery. Weddings and other functions are held there and a weekend food option is about to start – I will comment more in Part 2 of this review. I have known Helen, the new cellar door manager for a number of years and make sure you say hello and when you visit tell her that the Lonely Grape sent you. With aromas of tropical fruits and apricots combines with melon and apricot flavors that has a richness which makes me think there is a fair level of residual sugar here masked by a good acid finish. I would not consider this a food wine but a wine that would be drunk amongst friends on a Friday night after work. Good to see a chardonnay with some oak – no nakedness here. Good stone fruit characters of nectarines and peaches matches well with the minimal oak influences. The finish has a creamy textural feel that compliments the wine so well. I am told Chardonnay is making a comeback and with wines such as these who needs the single dimensional of some many of the top selling white wines being sold in Australia these days. It would be a pleasure drinking with with a creamy chicken pasta dish. Fermented honey called mead is dated back to the Vikings who considered mead as an aphrodisiac and would drink the honey mead period or the Honeymoon. Maxwell’s have been making this wine since the 1980’s and have, what I believe, is the largest mead production in the Southern Hemisphere. I have been drinking these wines sine the 80’s and they have been consistently good. I have tried a number of mead’s before and they do not come close to the quality seen here in McLaren Vale. Made to be drunk chilled. There are floral marmalade aromas that lend into the not as sweet as expected apricot honey aromas. Why not try this wine as an alternative on a hot summers day. This mead is made to drink warmed but not not boiled ( I have used ceramic cups heated in a microwave). The mead is infused with cinnamon and cloves and this moves through in spades on both the aromas and flavors. particularly the aromas that just attach the senses. Cold night, warm spiced mead, open fire and the one you love – I know it is a cleachae but in my mind it would work! This little bottle packs quite a punch. The aromas are wonderfully complex with the expected honey but there is coconut and cumquats here as well. When consumed there is an immediate warming effect that is enhanced by spiced sweetness. I use this an addition to one of my favorite creamy pasta and chicken dishes. I was looking forward to this as I have not had a good white port for quite a while. Well after trying this one I am still to try a good white port for quite a while. The aromas provide an interesting start with a mixture of raisins, treacle and citrus peel. But that was it – the flavors were limited and very short. A miss for me on this one. There are a number of excellent red wines at Maxwell Wines and I will review them next week. So until then – Salute. 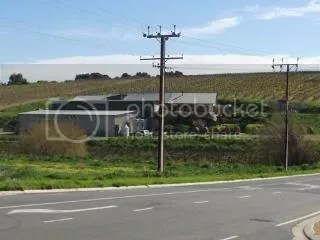 This entry was posted in Mclaren Vale, wine and tagged Cabernet Sauvignon, cellar door, Chardonnay, Mclaren Vale, McLaren Vale Wine, mead, wine, wine McLaren Vale. Bookmark the permalink.